Database Systems Corp. (DSC) is a leading provider of computer technology including contact center phone systems and software. DSC also offers contact center outsourcing services using our multiple call center locations. Our outbound customer contact services include message broadcasting that allows you to send simultaneous messages to clients or prospects without the need for operators. If your company or organization is looking to reduce costs and to improve its service, you can now contract your inbound call campaigns and outbound messaging broadcasting programs at our contact center facility. As designers of contact center systems and phone answering software, DSC is uniquely positioned to manage your phone answering campaigns saving your organization both time and money. Because our customer contact center services and software were developed internally, we can deliver comprehensive services quickly - providing you with a competitive advantage in the marketplace. From external database access to web integration including XML messaging, DSC can provide very custom call applications. 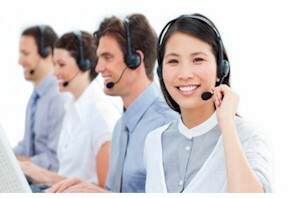 Plus you will find our contact center outsourcing services to be quite affordable. Contact DSC to learn more about our contact center outsourcing services and systems. Besides offering phone outsourcing services, DSC provides contact center software development services. In most cases, your call center phone applications can be developed and running on the same day. Our contact center outsourcing services can be managed directly using our secure website. Phone lists and voice recordings can be downloaded via the web to our call center and your phone campaign can be started online as well. For emergency calling campaigns, we even provide an 800 number that lets you initiate an emergency broadcast to your employees or community. Contact DSC for a FREE analysis and quote and to learn more about our call center outsourcing services.